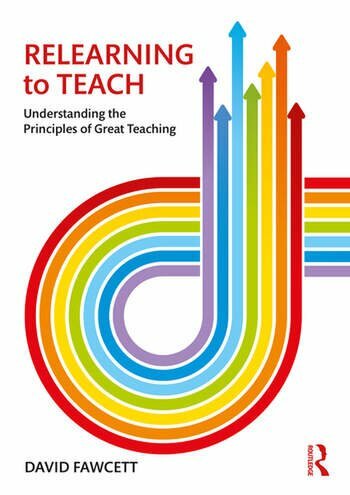 Relearning to Teach is a pragmatic book that challenges the seemingly complex teaching profession and the various initiatives, strategies and ideas that are regularly suggested. Using the knowledge he has accumulated over his career, David Fawcett explores how teaching methods are used without a clear understanding of why, which leads to ineffective teaching that is believed to work – but ultimately doesn’t. Following his breakthrough journey, Fawcett tackles myths head on, shares the latest research and explains how this will look translated to a classroom environment. Is lesson planning just a box ticking exercise? Why do students remember in lessons, but forget in tests? Is asking more questions beneficial? Is feedback actually worth it? Going back to the drawing board and breaking down teaching into various components, David Fawcett has made the complex, simple again. Relearning to Teach is a must read for all teachers looking to pinpoint the why of teaching methods and to gain an understanding of the reasons why various pedagogies are used within the classroom. Chapter 1: "Isn’t lesson planning just a box ticking exercise?" Chapter 2: "Why do they seem to remember in lessons, but then forget it in the test?" Chapter 3: "Asking more questions is better. Isn’t it?" Chapter 4: "For all the time and effort, is feedback actually worth it?" Chapter 5: "Differentiation – Isn’t that just making 30 worksheets for my 30 students?" Chapter 6: "Isn’t teaching English just for English teachers?" Chapter 7: "Are we just doing data because we’ve been told to do data?" David Fawcett is a teacher of over 10 years working in English Secondary Schools. He is also a speaker, trainer and organiser of multiple teaching conferences in the UK. His goal is to make teachers more aware of what might work in the classroom by bridging the gap between educational research and everyday practice.